Lovely цветок With бабочка Стена Stickers. WallStickerDeal.com is a leading online store committed to becoming the best reliable marketplace on the net by offering superior customer services, worldwide shipping and variety Стена stickers.. Wallpaper and background images in the Главная Decorating club tagged: decor home decorating. 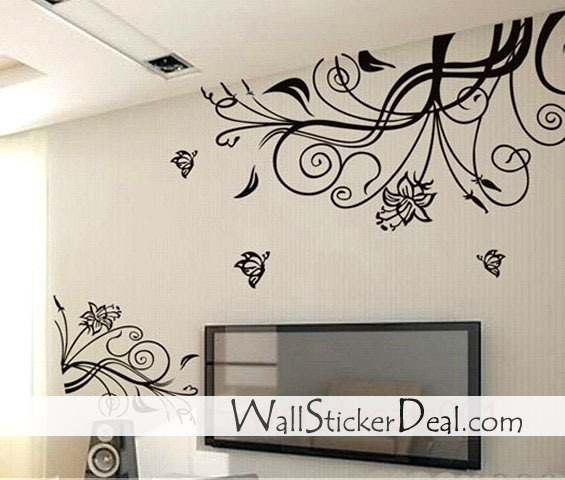 WallStickerDeal.com is a leading online store committed to becoming the best reliable marketplace on the net by offering superior customer services, worldwide shipping and variety Стена stickers. This Главная Decorating photo contains гостиная, парадная комната, кабинет, комната для отдыха, гостиная, семейный номер, гостиной, снятия комнаты, гостиная, столовая, and снять номер. There might also be зал для завтраков, уголок для завтрака, завтрак уголок, уголок завтрак, кухня, and подоконник.